Motorised blinds are a fresh innovation that offers luxury and convenience for an affordable price. Despite being a huge move forward in the world of window furnishings, motorised blinds are actually incredibly quick and easy to setup and for our Li-on rechargeable battery operated system do not even require an electrician. An added bonus for family homes is that they are completely child safe as they do not need cords of any kind. The team at Rods and Blinds are very experienced with automating blinds. We also offer solar powered motors and the option of controlling your blinds through your smartphone are also available. If you would like to know more please contact us - we welcome your enquiry. When we are manufacturing your roller blinds, we will install a rechargeable battery powered or mains motor in the headrail, which makes it completely invisible. This can communicate with the remote we send with your blind; you are able to set a top and bottom limit, and stop the blind at any point in the middle to let the perfect amount of light into your home. What type of motorised blinds are best for me? Rechargable Li-on battery powered motors. These blinds are available on any product up to 3000mm in width and 2200mm in height, and are powered by Rollease Acmeda a leading company with super quiet motors that offers a five year warranty. 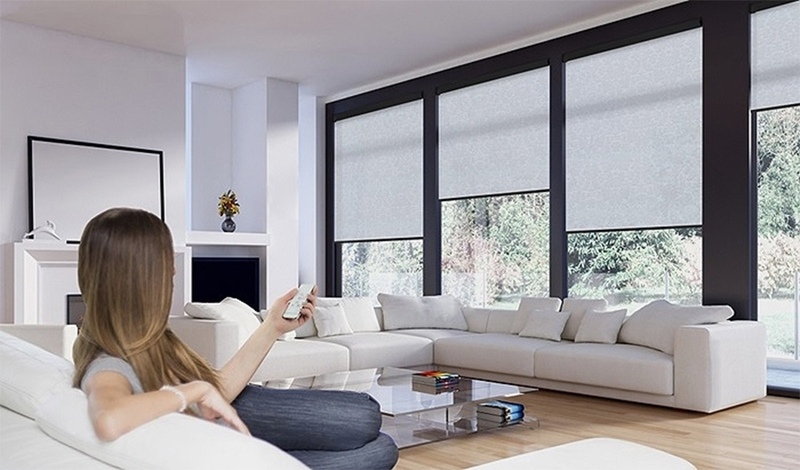 Available on all blinds with no maximum width or height restrictions, and may be used for linked blinds and are again made by Rollease Acmeda home automation. Blinds that use a Mains motor usually require the assistance of a registered electrician. Which motor option should I select? 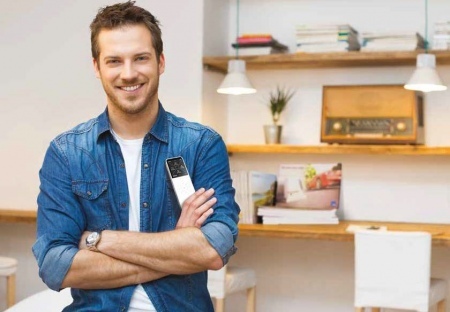 Motor, Remote and Charger - Buying your first motorised blind? This is for you. Motor only - Remotes can be used for up to fifteen blinds and our charging adapters can be used for as many blinds as you wish. By purchasing the motor only option, you can use your accessories from another blind with your new roller blind. Our motorised blinds are installed like any other roller blind. Simply follow our handy fitting guides that come with your order and we will also send you some simple instructions for configuring your motorised blind to set the top and bottom limits. You may need to engage an electrician to bring power to the units if you choose our mains powered option, but the battery powered units install just like any of our other 'easy install' blinds. We give you peace of mind with a full five-year warranty on our mains motors and three years on our rechargeable battery powered motors. Motorised Blinds can be ordered now using our online ordering system, all you need do is select your required options when placing your order. If you would like to know more, please feel free to contact us - we welcome your enquiry.